Who thinks about their water heater? Except when it stops working! There are several steps that homeowners can take to improve the life of a water heater. The tasks aren’t too complicated, but they can add years to the life of the heater, and that means more money in your pocket! For each of these tips – your first step will be to shut off the water supply valve. Also, be careful when draining water, it will be hot! Test the Temperature Pressure Release (TPR) Valve – Place a bucket under the pipe that connects to the TPR. It could be on the top or side of the tank. Lift the tab to release some water and then let go. If the water continues to flow, you need to get a professional to replace the valve. Not sure you can maintain your water heater in Snellville? Ask Hubb! 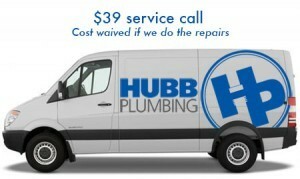 Give your home the professional and courteous plumbing service it requires. No job is too big or too small. Our mission is to provide the best plumbing service at fair pricing and to leave you with a great sense of customer satisfaction. We have been and continue to be referred by generations of local Snellville families. And because we know how valuable your recommendation is for our success, we sincerely honor your trust.